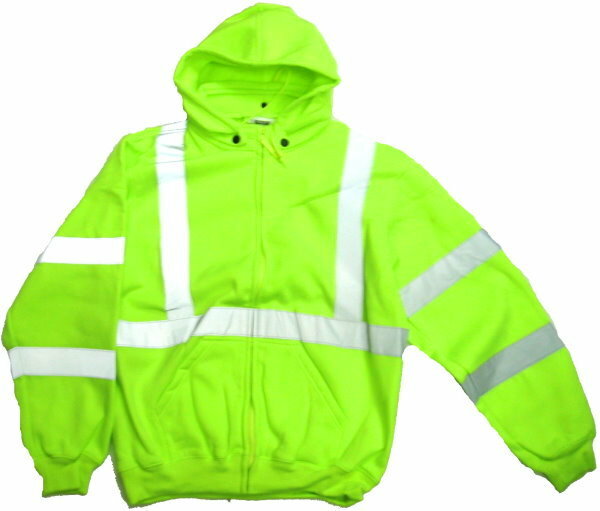 ANSI Class 3 Safety Lime Yellow Green SweatShirt. 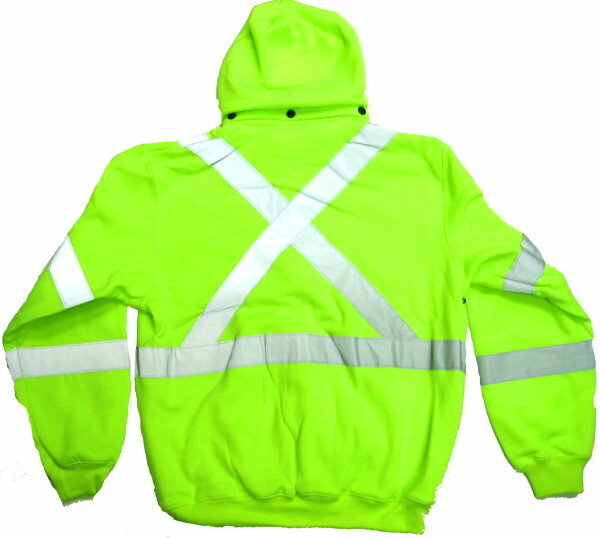 100% polyester fabric, with soft fleece lining. Quick dry. Long sleeves, knit wrist. Reinforced underarm air holes. Zipper front. Two front hand warmer pockets. Detachable hood with drawstrings. 2" wide horizontal and vertical silver reflective striped on front and back and on sleeves. "X" stripe configuration on back of shirt, as required by many railroad operations. Q: what is the size chart for this item?